Home/Knowledge Base/Web Hosting/How to view website statistics? How to view website statistics? You can view website statistics using Awstats. This displays information about who is accessing your website. 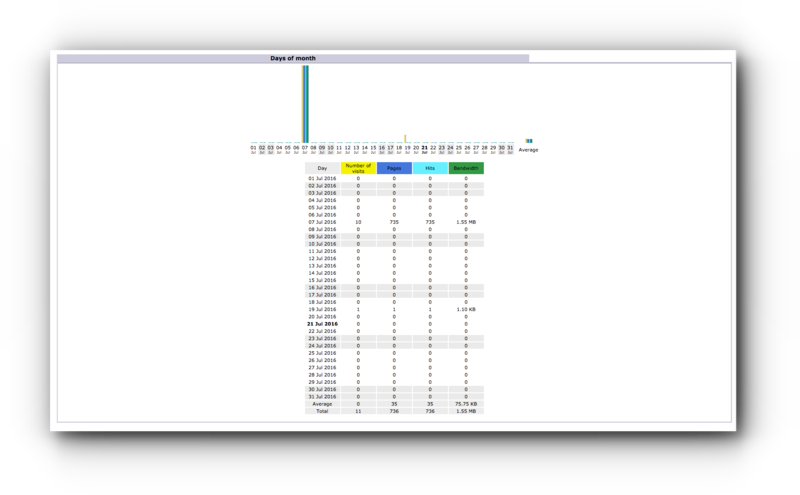 The information is displayed in graphs and tables, and divided into monthly, daily, and hourly averages. Awstats also shows details about your visitors, including referers (sites visitors link from), HTTP error codes, and facts about your visitors, including their operating systems, browsers, and countries of origin. 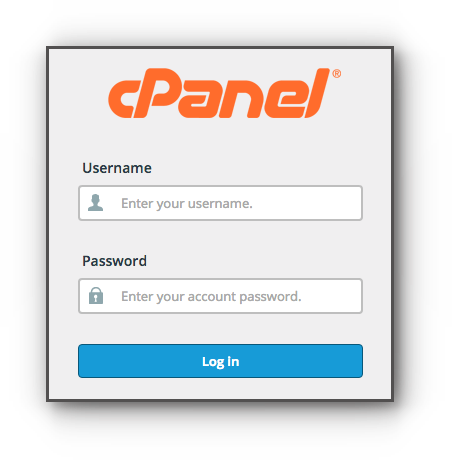 You may follow the below steps to access Awstats feature in cPanel. Before you proceed make sure to enable this by going to the Metrics Editor. Step 2. Under Metrics panel, select Awstats. Step 3. You may View link to see the traffic details of your website. You can find the traffic details to your website from the day you started to host the website with Vodien. Hosts – IP addresses are available in this table. Locales – countries where the site is accessed. 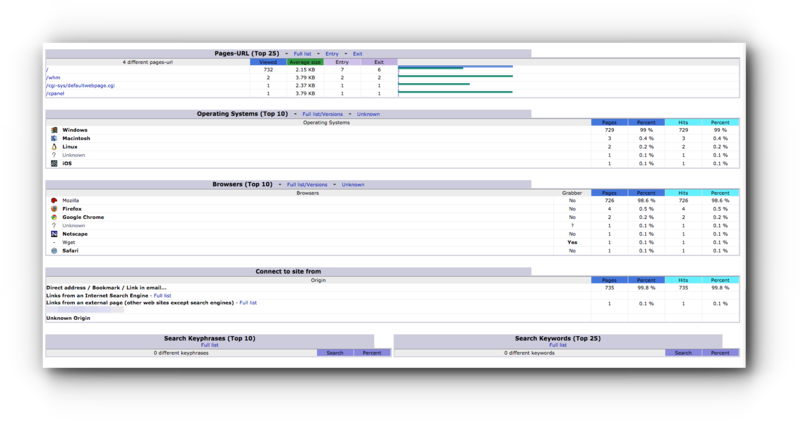 Pages – URL, Operating System, Browsers and Connect to site from. Step 1. Under Metrics panel, click Metrics Editor. Step 2. 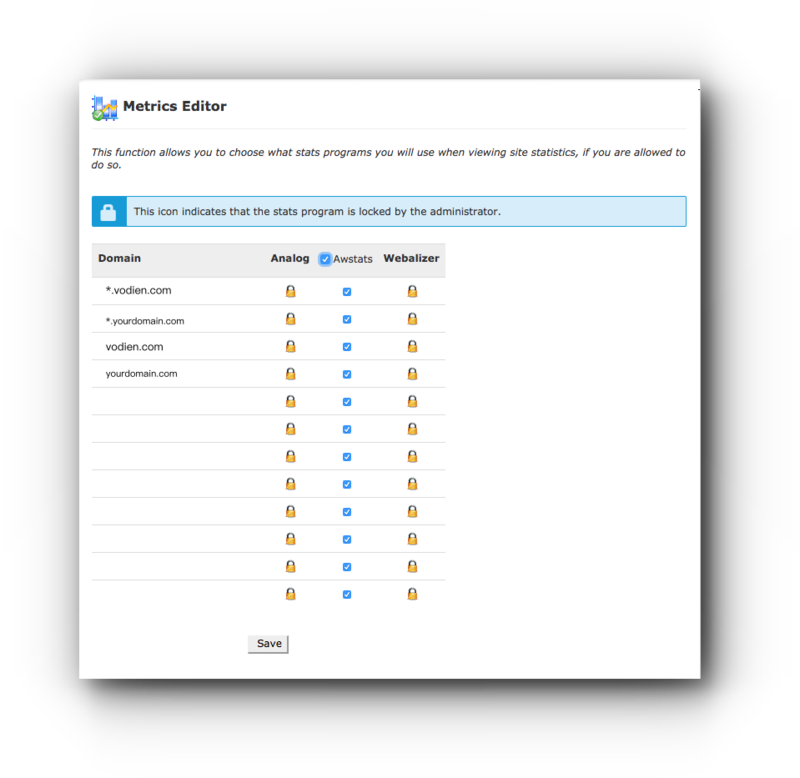 Check the box for the domain name or subdomain name you want Awstats to be enabled. Step 3. Click Save button. Once enabled, you may now proceed in viewing the website statistics.